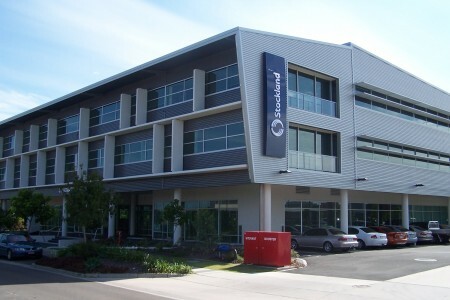 The Poole Group is located in Birtinya on Queensland’s beautiful Sunshine coast and is recognised as a leader in the accounting profession on the Sunshine Coast. Poole Group has specialist advisers who will work together to provide you with a range of services and strategies to reduce your risks, grow your business and create wealth. Ensuring your systems and processes are as efficient as possible to maximise the time available to focus on growing your business and create wealth See why we recommend Xero as part of our business and wealth creation strategies. Manage and invest the wealth you create wisely to improve the return on your investments. See what out Investment services team can help you with. So if you are looking for an accountant with track record of helping businesses throughout their life cycle then make an obligation free appointment and we’ll show you how we can help you achieve your goals. New clients are always welcome to Poole Group, so if you are thinking of changing accountants or are looking to appoint someone for the first time then come and see us. Craig joined the Poole Group in 1999. He specialises in business advisory, taxation and compliance services, business evaluation and due diligence for all SME’s, with a keen interest in the Building Industry. Dale specialises in business advisory and compliance services for the medical industry and can provide advice in regards to appropriate structures, effective tax strategies and general business advice. David has been at Poole Group for 30 years. Over the years David has worked with a variety of types of businesses from manufacturing, medical, farming, building & construction and legal industry. He is passionate about helping people be the best that they can be both in business and personally. David is our Superannuation expert, superannuation is one of the largest growth industry in the country and the benefits that people can gain from not only a well run super fund but a clear focus in life are immeasurable. Don is the founding partner of The Poole Group and has been in public practice for more than 34 years. Don has for many years been an advocate for exit planning and has assisted many business owners in their exit transition period. Currently Don is a Director, Chairman or Board Member of a large number of companies situated between Melbourne and North Queensland. With over 20 years combined experience in Accounting, Taxation and Financial services I look forward to offering you advice through exceptional resources and experience. Neil has a vast experience in a wide range of industries, including Medical, Construction, Manufacturing and Retail. He prides himself on offering personalized professional advice to his clients on issues surrounding structuring and asset protection, taxation, business management and succession planning.